Various TV, Films and Other. Ancient Mayan, Inca & Aztec. Famous Wills, Death Cert & Aut. 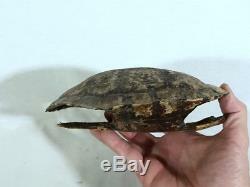 Pirates of the Caribbean, Dead Man's Chest, Real Prop Turtle Shell. Jack Sparrow races to recover the heart of Davy Jones to avoid enslaving his soul to Jones' service, as other friends and foes seek the heart for their own agenda as well. 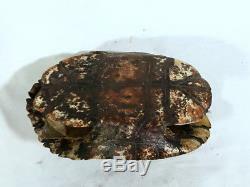 From the hit film Pirates of the Caribbean: Dead Man's Chest (2006) this is a Real Prop Turtle Shell that was used in film. 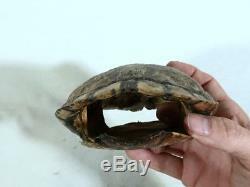 The shell actually looks like a Real Shell, as a matter of fact, and is in excellent condition. 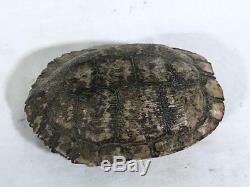 It weighs about 3 pounds and measures 7.5 inches long 5.5 inches wide x3 inches deep. 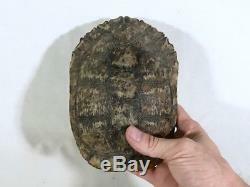 It is painted to look like a Turtle Shell. You will get a Letter of authenticity from Premiere Props and Reel Art. At Reel Art we are specialists in real and replica props. We are the leading authority on anything having to do with 007, Indiana Jones, Science Fiction and more. We are also fanatics on Ancient Mystery, Religious Riddles, Conspiracy Theories, UFOs and Oddity artifacts. We continue to strive to be a top notch quality company where you can rest assured that your needs will be addressed. If you are interested in a particular subject and see nothing listed in our store please contact. We can let you know if we have something or maybe put you in touch with someone who does. We are more than happy to answer any of your questions about which product is right for you - just get in touch. Thank you for shopping with Reel Art. Please note that all payments must be in USA Dollars. Please be sure to express if you need items by a certain date so we can be aware and also we can give you a estimate of arrival time. However in USA the post office does not guarantee anything. If that is a problem please ask ahead of time whether they are in stock or not. For foreign customers we will address their specific needs also. We aim to answer any questions or queries quickly and in most cases within 24 hours. All items are described as accurately as possible and photographs are of the actual items. We are sure we can work out any problems. We strive to be a top notch company. Please do not send items back without authorization. Your return must be received back to our warehouse in the manner it was sent in original box unused. Any item item received back used or soiled may be subject to service charges and possibly refusal of return. You will be responsible for the cost of returning the item to us. This listing is currently undergoing maintenance, we apologise for any inconvenience caused. 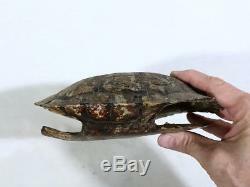 The item "Pirates of the Caribbean, Dead Man's Chest, Real Prop Turtle Shell" is in sale since Sunday, April 8, 2018. This item is in the category "Entertainment Memorabilia\Movie Memorabilia\Props\Originals". 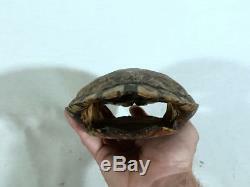 The seller is "reelart" and is located in New Port Richey, Florida. This item can be shipped worldwide.